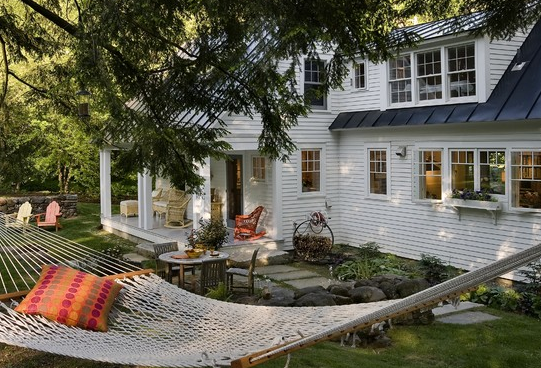 Is your deck looking a little shabby? Is it in need of a makeover? Battling the elements can take a toll on your decking which is why regular maintenance is a must. Refinishing is an easy DIY project that will help extend the life of your outdoor space. After a good scrubbing and a fresh coat of stain, your deck will look like new. with a fan nozzle works great for this. Use caution when trying to remove tough stains, the force of the water can gouge wood if focused in one spot too long. So keep it moving! Cover your plants with plastic – This will help prevent chemicals from getting on them. Rinse the foliage off afterwards as an added measure. Pressure wash – Use a cleanser that is specially formulated to clean decking materials. This keeps the wood from drying out. The most commonly used cleaners have TSP (Trisodium phosphate) in them but may be too harsh to use around plants. Apply some elbow grease – Instead of trying to get tough stains up with the pressure washer, use a scrub brush. Clean between boards – Use an old broom or brush to loosen debris from cracks and crevices. Scrub railings and overhangs – All decking surfaces should be cleaned and refinished to protect them too. Now that you’ve finished washing the deck, allow it to dry for 24 hours. Use this time to inspect and replace any damaged boards. Look for popped nail heads and hammer them back in place. Once your deck is completely dry, you can sand down rough spots and get ready for the stain. Clear – No tint or color but serves as a protectant for the wood. 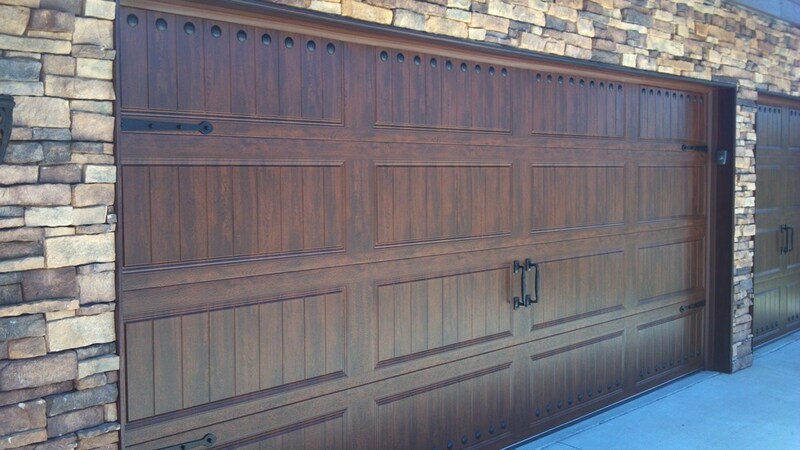 Tinted – Wood colored tints allow for a uniform, natural appearance. Semi-transparent – Gives some color but still allows for wood grain to show through. Solid colors – Opaque paints hide the wood grain and provide ample color. Some new exterior paints/ stains can actually fill in small cracks and splits. Due to the thickness of these products, you will need a larger amount to cover your deck but multiple coats won’t be necessary. You can also find stains that contain skid resistant materials (like fine grit/sand) for added safety and still remain comfortable on bare feet. Use a roller for larger areas – Paint brushes are great for railings and recesses. Keep your color uniform – For a large area, mix all of your stain together to keep it consistent. Color may vary slightly from can to can. Paint sprayers can clog – Read the label on the product you are using. Some stains are too thick for sprayers. Avoid overlap marks – Work on a few deck boards at a time and paint lengthwise. Let dry at least 24 hours – Test the surface before putting furniture back out. If it is tacky to the touch, give it more time to dry. If you’ve been thinking you need a new deck but can’t afford it, try refinishing first. A perfectly good entertainment space may be hidden beneath all that dirt and grime. All it needs is a little do-it-yourself TLC. Let’s face it, we can all use a little makeover from time to time. From pressure washers and paint sprayers to sanders and nail guns, our expert staff is always on hand to help you find the right equipment for your next outdoor DIY project. Looking for additional information on maintaining your deck? Check out our previous blog “Seal and Stain Your Deck in 3 Easy Steps” for more helpful tips. As always, if you have any questions about what to choose, pricing or how-to’s, don’t hesitate to contact us. Stop by our store — we’re open seven days a week. Nothing will shut a backyard cookout down faster than mosquitoes. No one likes the bites or the itching, so what can you do? Years ago you may remember the bug man driving through your neighborhood trailing a chemical fog of DEET insecticide, a potent nerve toxin that renders an insect paralyzed. Once praised for its ability to eradicate the pesky mosquito, DEET has proven to do more harm than good. Still, with the threat of Malaria and West Nile virus looming in all that buzz, a solution is needed. Eliminate standing water – Walk around your yard and turn over anything that holds even the smallest amount of water. The female mosquito lays her eggs in as little as two tablespoons of water. They hatch in a mere seven days. Check for low spots in your yard – Look for areas that may need to be re-graded or have a French drain installed to prevent standing water or marshy ground. Trim the shrubs and bushes around your house – Overgrowth is where mosquitoes love to hide during the heat of the day. Eliminating the brush and weeds will give them nowhere to lurk. Treat water features and fish ponds – Add mosquito dunks made of BT (Bacillus thuringiensis), a bacterium that’s harmless to wildlife, pets and people, to any permanent water source. It keeps the mosquito larvae from hatching. Aerate ornamental ponds – Keep the water moving in these features to prevent female mosquitoes from laying eggs. Tie your tarps tightly – Water can gather in the folds of the tarps you are using to cover things like firewood, gas grills and boats. Pull the tarps tightly around these items to keep water out. The same goes for market umbrellas – close tightly when not in use, being careful to brush free of spider webs or trapped insects upon re-opening. Toss any unnecessary items – You may have been saving that tire for a kid’s swing, but leaving it sitting to collect water only allows mosquitoes to breed inside. Toss it! Treat your yard – You can purchase spray insecticides as well as granules that can be applied to the yard. These will not hurt pets or small children and can last up to three weeks. Keep your gutters clean – These are the most overlooked culprits around your house. Clean them out and make sure downspouts are clog free. Inspect your screens and doors – You should have 18″ x 14″ mesh wire in your screens and doors to keep bugs out. Make repairs to any holes or loose fittings you detect. If you do have to be outside during peak mosquito times – mid to late afternoon – wear a long-sleeved shirt and long pants. Shoes, socks and even gloves will help keep you bite-free. Burning citronella candles has proven to be effective in keeping the pests away. If you want a totally natural deterrent, then place a bat house in your yard. Bats are said to eat up to 600 mosquitoes an hour. Add a few plants like Citronella Grass, a low maintenance plant that grows best in a container, to help your yard ward off mosquitoes naturally. Make sure to buy Cybopogon nardus or Citronella winterianus, which are the true varieties that ward off mosquitoes. Plants like Lavender and Lemon Grass give off a scent that the insects hate when their leaves are crushed. Press a few leaves in your hand and rub the scent on your skin to ward off the pesky predators. Try locating some of these plants near your patio and doorway to help set up a “scent barrier” for your home. Cat Nip is also effective, planted away from flowers beds – since your cat may decide to roll around in it. Our expert staff is always on hand to help you with your yard and garden projects. From pressure washers for cleaning gutters to insect and lawn sprayers, if you have any questions about what to choose, pricing or how-to’s, don’t hesitate to contact us. Stop by our store — we’re open seven days a week. For those of you with garages at the forefront of your home, it’s safe to say a cracked and spalled driveway completely dampens curb appeal. And with such bipolar Indiana weather, it’s no wonder freeze-thaw conditions contribute so much to this. Depending on the cause of concrete driveway failure, there are solutions and ways to prevent unwanted defects. What’s Causing Your Driveway to Fail? 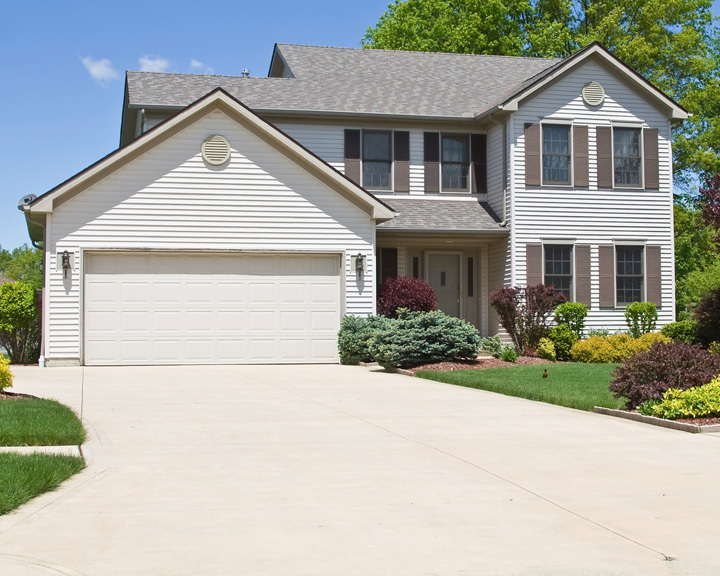 The first step in repairing your driveway, is to determine what is causing it to fail. If it is a stabilization issue, then unfortunately resurfacing won’t permanently fix the issue. The reason being, that when the foundation under placed concrete starts to deteriorate, there is a void created, which results in the concrete cracking and falling more than the concrete around it. You could level out the concrete temporarily, but if the concrete underneath the patch moves, then inevitably the patch will move with it. In essence, the concrete can’t support itself and falls through. The only solution if this is the case is to tear the driveway out and pour completely new concrete at full depth. On the other hand, if you have concrete cracks or spalls not caused by a foundation issue, then there are a few easy approaches for remedying them….read on…. Many driveways have spalls. Freeze-thaw in the winter and summer creates pop-outs when concrete contracts, then expands. This phenomenon pops pieces of concrete loose (hence the name), which result in what are known as spalls. A way of preventing this is to keep water from penetrating into the concrete to begin with. Concrete sealer can assist with this – you can purchase sealer here. For repairing spalls, the first step is to use a pressure washer for cleaning them out, then clean them up with a hand grinder and wire wheel. After all the debris and loose bits of concrete are removed from each spall, you can fill in the voids with Concrete Resurfacer. Keep in mind, the color may not match exactly, but it will do the trick. If your main issue is concrete cracks (not caused by stabilization issues mind you), then you can also use Concrete Resurfacer to level the surface of your driveway. However, this is only recommended for use on substrates with 1/8″ or less difference in depth. On anything 1/4″ or greater, you can use Skim Coat. Our goal is to assist with any repair tricks and tips to keep your home happy and healthy, so please let us know if you have additional questions about this process. We have an entire concrete division as well, so be sure to check out our Runyon Surface Prep website for the full line of products. Homeowners today are making measured, timely decisions about their homes that take care of improvement projects like structural fixes or replacement before they become emergencies. In this way, homeowners are protecting their property as well as their investment, financial and otherwise. In part one of our series that tackles structural home fixes, we explore options for fixing or replacing your roof. Your first decision should be based on a thorough inspection of the roof to determine whether simple patching or repair can repair leaks or other damage you may find – or if it is better for the life of your home to replace the roof entirely. Before the inspection, hire a professional cleaning service or rent a pressure washer to clean the roof, especially if it has moss or a fair amount of debris on its surface. This allows for you to better evaluate the actual condition of the roof. Continue the inspection inside the attic, if possible – especially if you find evidence of leaks. Inspect under the shingles, making sure the roof deck is sound. 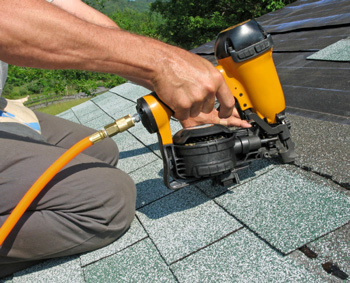 Remove any worn, torn or damaged shingles and replace with new ones. It’s always a good idea to store new shingles that match the existing roof just for this type of repair. However, you can have the building contractor order matching shingles for you, or you can go with a new one, even if it’s not an exact match. Consistently replacing worn shingles could extend the life of the roof by 10 years or more. If the leak is due to condensation on cold “shiners,” nails that have missed their mark, clip it with a side-cutting pliers. If a plumbing vent is torn, rotted, cracked or has broken seams, replace it with a new one. If the vent is in good shape, but nails are missing or pulled free, replace them with the rubber-washer screws used for metal roofing systems. Be careful when removing shingles around the fix so they can be reused. To repair around windows or dormers, make sure the area is still sealed using a putty knife. Dig in to reveal any old, crumbling caulk. Remove all of it and re-caulk using a silicon latex caulk. 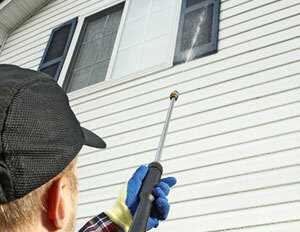 Replace any cracked, rotting or missing siding, overlapping the step flashing by at least two inches. If the flashing around a chimney is rusted through, either slip new flashing under the old or cut what’s called a saw kerf into the mortar and install new flashing. If the step flashing along walls is rusted through, replace it with new flashing. If the flashing has come loose, exposing the wall, re-position it and re-nail to the roof. If you find tiny holes in any shingles or in the roof, do not inject caulking into them. Fix the holes by using flashing. If your roof is more than 20 years old – the projected life of any roofing surface – it’s time for a new roof. If just part of the roof is significantly showing its age, and you live in a severe weather area, replace the entire roof. If you find evidence of a worn or damaged roof deck, do a replacement, so it too can be repaired or in some extreme cases, replaced. Our expert staff is always on hand to help you with home fixes and repairs. Learn more by reading our blog, Repair and Prepare Your Shingles and Windows for Winter in 6 Easy Steps and if you have any questions about what to choose, pricing or how-tos, don’t hesitate to contact us. Stop by our store — we’re open seven days a week. Wouldn’t it be nice to enjoy a juicy steak grilled outside? You could add an assortment of yummy roasted veggies to the menu and grill up pineapple slices served with a little vanilla ice cream for desert. And maybe even invite your neighbors over for dinner too, yeah? The first thing to do is clean the deck and all your outdoor furniture, washing away any dirt and grime that winter left behind. Not to mention, that pine or flower pollen that’s coating every surface in your backyard. 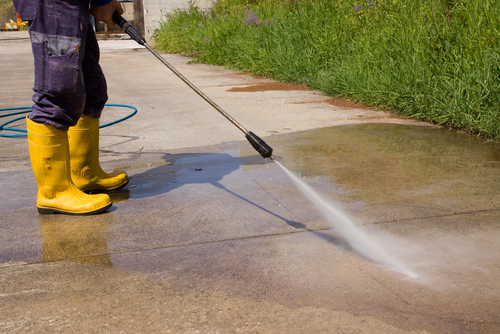 Using a pressure washer makes quick work out of this traditional warm-weather chore. Chose an appropriate cleaning solution for your equipment and rinse away. Just be careful to monitor liquid pressure. The deck can handle a more powerful stream than an outdoor set of table and chairs. 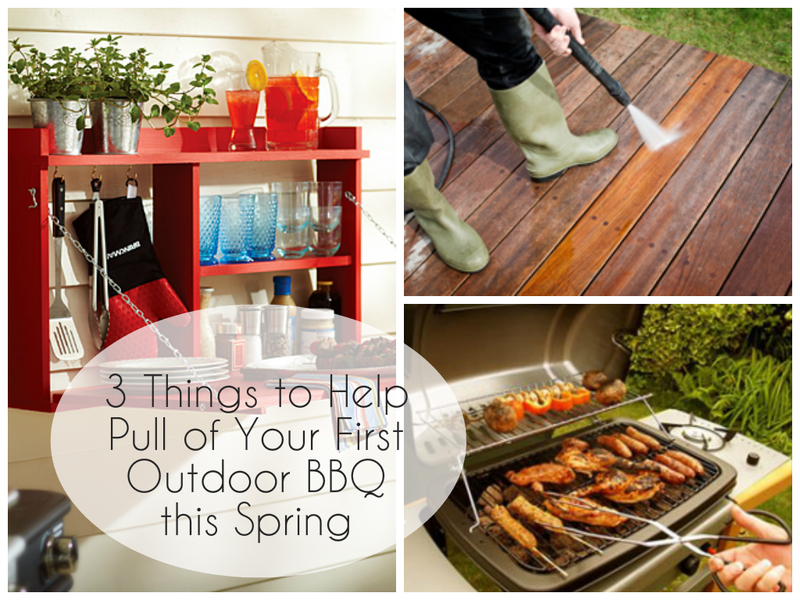 You can even pressure wash the grill – give it a good cleaning after getting it out for the season. If you need a more thorough refurbishing job, check out our recent blog post, Master of the Grill: Clean and Repair Your Grill in 10 Easy Steps – everything you need to know to get your grill in top form for a season of good eats. It’s time to stop by for a propane tank for the grill. We carry a variety of tank sizes, which are made of steel, engineered for lightweight strength and manufactured to Department of Transportation (DOT) specifications in facilities that have a Quality Management System certified to ISO 9002 requirements. In fact, propane is so integral to a happy grilling experience, you should consider getting a spare! Of course, if you’re a charcoal kind of griller, then your number two would be heading to your local hardware store to pick up charcoal fuel for your grilling fire. Once you clean up the patio and get the grill ready, you can focus more attention on making those backyard patio transformations that you’ve been dreaming about a reality. You may remember the projects we wrote about in our recent blog post, Stir Up a Little DIY Inspiration with These 3 Project Ideas. And with each of these ideas it’s rather likely you’ll need a nail gun, stapler, circular saw, drill or any number of other power tools to help you accomplish such a feat. From new landscape features to new cushions for your furniture and attractive privacy walls, our expert staff is always on hand to help you plan your next DIY project. So that’s it – the three things to help you and your guests to inaugurate the grilling season. If you have any questions about what to choose, pricing or how-tos, don’t hesitate to contact us. Stop by our store – we’re open seven days a week. We’d love to help you enjoy that steak dinner in style! Properly preparing the outside of your house for paint is extremely important. All exposed painted surfaces develop a layer of electrolysis dirt film, and most cleaners cannot penetrate this film. This is where degreasers come in handy for removing film when used with a pressure washer. Shipp Cleaning Systems carries a product called CREST, which has surfactants that penetrate static films and all dirt without harming the surface. If the electrolysis film is not removed before painting your house, the paint will not bond to the surface, causing premature chipping. CREST cleans away all grime, dirt, and films. 1. Most portable pressure washers have a chemical injector hose that goes directly into the CREST container. With the chemical tip on the wand, this will spray out at either a 1-10 ratio or 1-15 ratio depending on the machine. This dilution is good for medium-to-heavy dirt on a home. If the dirt is light, the CREST may be pre diluted by half in a bucket. 2. With the chemical tip on the wand and the injector hose in the CREST solution, you are ready to apply the cleaner on the surface from the bottom up. Apply from the bottom up to avoid clean streaks. Also apply to the dry surface, do not pre-wet with just water, letting the chemical be the first thing that touches the dry surface will do a much better job of cleaning. To avoid wasting cleaner, move quickly and evenly, applying a film of CREST over a section of about 30 running feet at a time. DO NOT LET THE SOLUTION DRY ON THE SURFACE! Change tips to a 15-degree, 20-degree, or 25-degree tip. Now pressure wash from the bottom up. This is the cleaning step. By cleaning from the bottom up the pressure washer water is the first thing to hit the chemical as it sits on the surface. If you clean from the top then down the water that cascades down will wash off the chemical cleaner before it is hit with pressure. Hold the tip of the wand approximately 18″ from the surface. This is the action that cuts and cleans. Take your time and spray evenly. 3. Finally, rinse the area from the top down. Make sure CREST is completely and thoroughly rinsed off ALL surfaces including windows and shrubbery. It will take approximately 1 gallon of CREST, at full strength, to clean a single story, 1500 sq. ft., house. Spraying: The chemical spray tip will spray cleaner out as a mist, not at pressure. After applying cleaner, the 50-foot hose will contain cleaner. By putting the 15-degree tip on the wand, you will get chemical at full pressure for about 8 to 10 seconds. Use this time to apply cleaner to eaves and hard-to-reach areas. Protect your plants: Always spray down shrubs and plants with water before cleaning. This layer of water helps prevent “brown tipping” of leaves of plants by incidental cleaner contact. CREST is biodegradable. Sprayer Tips: The tip of the wand should be held at 18” from the surface. The 15-degree tip has a smaller fan pattern that cuts hard-to-clean surfaces. Spray Patterns: Always apply from bottom up to get a good, even cleaning. It will eliminate streaking and blotching the surface. Clean from the bottom up. Otherwise, cleaning from top down will dilute cutting ability as runoff water rinses cleaner away. Rinse from top down to insure all cleaner is removed. Chuck Shipp is the president and founder of Shipp Chemical Co., Inc. His company has been in business for 35 years, and he has 40 years total experience with industrial and janitorial cleaning. Chuck writes and lectures on cleaning in the hardware and equipment rental industries. Your gutters don’t clean themselves. Every time it rains or the wind starts to blow, nature deposits water, soil, leaves and who knows what else into the humble gutter system. Gutters help prevent water and debris from damaging your house by moving them away from doors and windows, siding, the foundation and garden beds. Not to mention, they keep water and debris from getting inside your house, or eroding the ground around it. And the task of keeping your gutters unclogged and unfettered is entirely yours. Thankfully though, maintaining them is a relatively uncomplicated job, one that’s best done as a preventative measure. Before the weather gets worse, I would consider accomplishing this task as soon as possible, especially if you have a faulty gutter system. 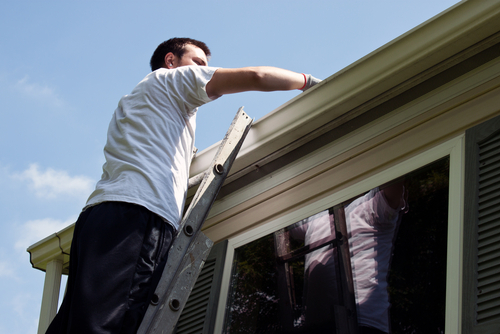 Doing so will ensure you have an effective gutter system for years to come. First, climb a ladder. Your first line of defense is to climb up on your roof and take a look at the condition of your gutters, and even before that, you’ve got to get yourself a good ladder. A ladder is a tool, and it’s important to use the right tool for the job. Select an extension step ladder that will reach the work area with a little room to spare, and be sure it is sturdy enough to hold you, your tools and other work materials without coming apart or falling to the ground. When choosing a ladder, also take into account what the ladder is made from. For instance, metal ladders conduct electricity and can create a danger of electrocution. If the area around your work project has a lot of wires or live circuits close by, choose a ladder made from fiberglass or aluminum. If labeled multipurpose, you can use this ladder as a step, extension, stairway or plank support ladder. Ladders can be heavy-duty or extra-heavy duty. They can also include slip-resistant rungs, pail shelves, rag racks, drill holsters and tool trays. Ladders with a platform hoist are usually used by professionals for big roof jobs. Once you’ve climbed up on a ladder and inspected your gutters, you may need a garden hose and bucket, chisel and sealant, a rivet gun and paint, rubber gloves or a pressure washer to clean and repair gutters. Get the goop out. Clean away any leaves or debris left in the gutter and the downspouts, making sure to clear clogs that hinder proper drainage, which causes sagging gutters. Check: Spikes, leaks, rivets. Next, check all the spikes that hold the gutter to the house, making sure they fasten securely. If not, they need to be replaced with new ones. If the gutters themselves contain holes or the seam caulking is cracked, use a chisel to scrape old caulking out. Dry the area thoroughly, then repair with a new bead of silicon sealant, roofing cement or metal-repair patch – whichever matches the gutter material. Make sure the rivets on the downspout are tight and intact, otherwise be sure and replace them. Ooo, power tools! You can clean gutters with the old-school method of a garden hose and bucket. However, if you’ve secured your gutters with new screws or spikes – and love power tools – consider using a pressure washer. If you choose this route, follow manufacturer’s instructions specifically, setting the washer to the lowest pressure and using the appropriate water or cleaner. Take care when aiming the water stream at the gutters, so you don’t blow the roof shingles off! Got rust? If the gutters are rusting, sand them down and paint with a good primer and a rust-inhibiting paint. Or buy a new gutter system altogether. Not just for decoration. Installing a splash block on the ground below a downspout keeps water from digging a trench next to the house and away from the home’s foundation.